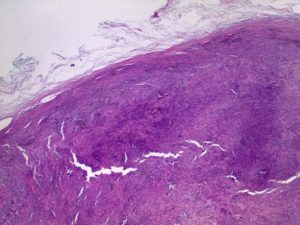 40 year old male presented with a 2.4 cm mass on the forearm. 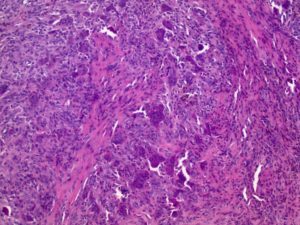 Sections show a well-circumscribed neoplasm based within the subcutaneous tissue. Higher magnification shows the neoplasm is composed of numerous osteoclast-like giant cells and similar-appearing mononuclear cells.